I love all the colors you've collected in this image! Fabulous shot, love the angles!!! Great colours, beautiful sky. Bill Phillips: You like it then Lady P? OMG, Bill. Everything about this is a Likey for me! 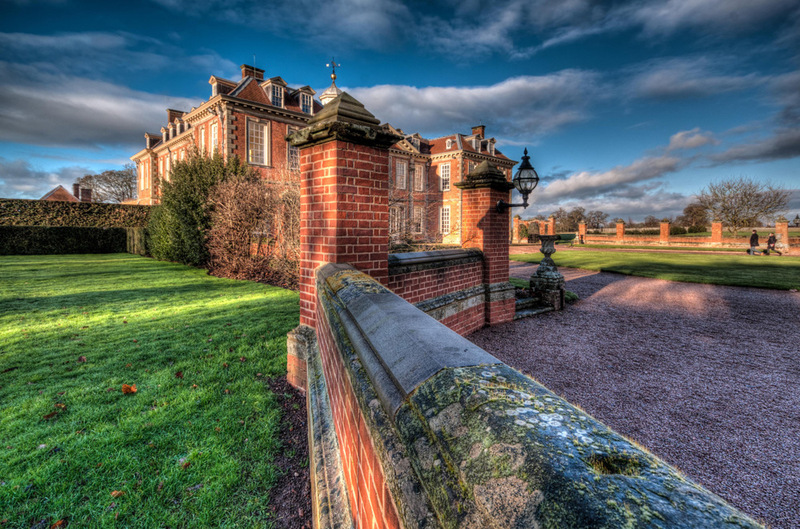 Bill Phillips: Hanbury Hall is a beautiful house Tiffo. A good image Billiam, I am struck how that wall is quite thick but gets thinner towards the gate. I like your viewpoint here and your use of the editing toys to enhance this fine building. .and love the sky and the warm bricks! Such detail and rich colours. Great job. Nicely done,young man,h.d.r. P.o.v.it all works well. wow Bill.... this is a big bang! love it! You certainly had some excellent lighting when you shot this one, Bill. The colours are magnificent. This is very good in all respects Bill, are you using Photomatix for the HDR part for the process? Simply fabulous Bill! A likey for me. An interesting bit of hdr! I like tomorrer's veggie patch better, Bill. Bill Phillips: Are you a man of the soil Ray?